Luke Pell, our guest dramaturg, will be delivering eight online offerings over the next few months, discursive sessions that explore his approach to the craft of dramaturgy, threads of thinking that run throughout the work and the ways he collaborates with different artists and organisations as a dramaturg, that will be available on The Red Line, from mid February. We ask him to take 10 minutes out and tell us a bit more about himself. What or who inspired you to become involved in performance? I think my response to this kind of question changes every time I think about it… more and more I think I about who inspires me to stay involved in or become involved in performance in new ways. 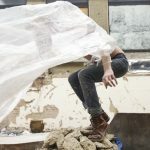 As someone who works as a dramaturg that’s the artists I work with and the worlds they are working in and importantly some of the people they have worked with or alongside – their distinct performance heritages and evolving practices. Of late that includes communities of dance, performance and choreographic artists I’ve been introduced to in Berlin – Peter Pleyer, Michiel Keuper, Maria Scaroni, Pondeorsa, Ruairi Donovan – in San Francisco – Jess Curtis, Keith Hennessy – in Sweden and Denmark – Martin Forsberg, Dinis Machado, Sindri Runudde, Tove Sahlin, Eleanor Bauer, Siriol Joyner – and back at home in Scotland a whole host of independents – Roanne Dods, Diane Torr, Adrian Howells, Anna Krzystek, Caroline Bowditch, Claire Cunningham, Nic Green, Simone Kenyon, Lucy Suggate, Robbie Synge, Janice Parker, Buzzcut – and throughout UK the independent dance, quiet activist, queer and live art scenes…the questions all of these folks are asking, they ways they are working, wondering about the ‘it’, the ‘why,’ for ‘who’ and ‘how’ we do it differently. In the beginning for me, it was the meeting of different worlds I was part of. Before I worked in performance, I worked in fashion for a while as a model…there was something about ‘performing’ the body, identity, and transformation that interested me and – at that time – gender that troubled me, that rubbed up with being a queer person and the alternative social and club scenes I was growing in as a younger person. These worlds started to blend for me when I danced and performed as part of a few club nights, someone then – later in life – asked if I’d ever thought about performance/performing… so I ended up going to university as a mature student, in Winchester, to study Contemporary Performance really focusing on ‘making’ in what was a very interdisciplinary training. There I met some wonderful practicing artists who taught as part of the programme – Olu Taiwo, Sacah Lee, Suna Imre, Synne Berhndt, Alex Hoare, Suzy Wilson (Clod Ensemble), Lone Twin – who were all huge influences on my practice as a young artist, as was David Harradine (Fevered Sleep) who taught there and has since become a lifelong mentor, friend and colleague. Not long after that, my time at Candoco and the artists I met whilst working with the company further activated my understanding and involvement in performance. Folks like Frank Bock, Simon Vincenzi, Lea Anderson, Fin Walker, Athina Vahla, Kate Marsh, Catherine Long, Lucy Cash, Sarah Michelson, Emilyn Claid, Wendy Houstoun and Nigel Charnock. How did you come across Dramaturgy? Whilst I was at university in Winchester. It was something we were introduced to by Synne Berhndt that became a foundation to our thinking and approach to making work as young artists/students. Cathy Turner also joined that teaching team in my final year, so I think I was exposed to experienced dramaturgs, dramaturgical thinking and attentions there, at a time where the idea of working with dramaturgs was still fairly emergent in the UK dance world. Do you apply a process or a methodology to delivering your dramaturgical work? I’ll talk about this more in the upcoming sessions… but for now… Yes, and No. I definitely have core questions, strategies, tasks and ways in which I come back to or draw from work over the years when working with artists, most of which are to do with reflection, attention, noticing, connecting, teasing out and being concerned with a wider weave more broadly, where dance and choreography meets or might meet with other worlds. But, at the heart for me is intuition and responsiveness. 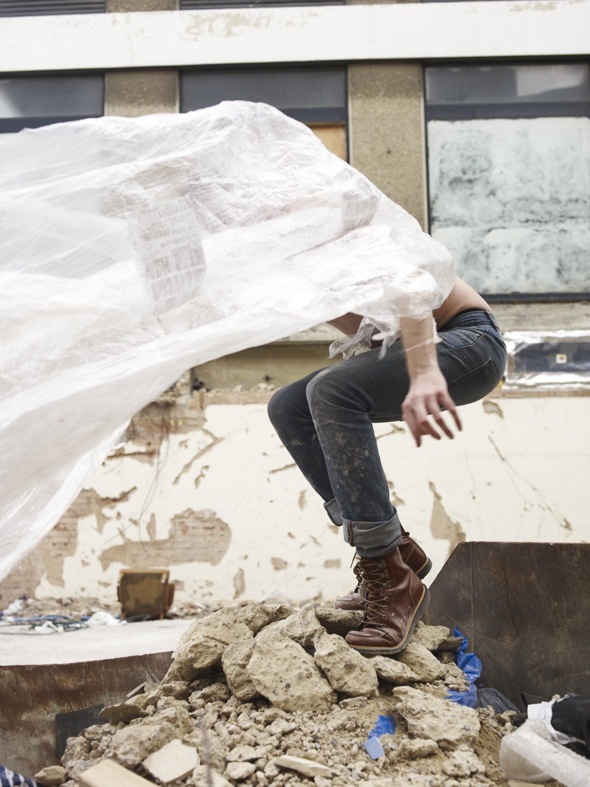 To work with an artists practice and process, to understand or come to understand the ‘logics’ of a project, process or practice, an artists performance heritage and where a work or moment in practice might sit as part of that – and then to respond to what’s emerging. Have you ever had a particularly tricky time working on a piece and was there a particular lesson you learnt along the way? Yeah, there have definitely been moments when I didn’t do what I just described above at the first point of entering a project. When I wasn’t listening closely enough to an artist, to what was happening in the room, in that particular context with those people. I hadn’t garnered enough understanding of where things were at and so was trying to help a project go somewhere I thought would be interesting, rather than unpicking and following what the artists interest was… This was a really notable moment for me in better understanding and clarifying what I think my role and responsibility as a dramaturg is – to work with artists to make the work they want to…and often to discover what that is with them. We understand you’re currently in New York. What are you up to over there? I’m currently Associate Artist with Dance Base in Edinburgh and they and my mentor Bush Hartshorn have supported me to come to the American Realness festival http://americanrealness.com/, to see work here, meet with other artists and colleagues as part of my ongoing research and development. I came five years ago, just after leaving Candoco and was really excited, challenged, invigorated and moved by what I encountered, so I’m approaching it as an opportunity to reflect on the five years since, to bump into other performance inspirations and influences I’ve not seen for a while – I just saw Lois Weaver who also really evolved my interest and understanding of performance when I took my Masters and some other colleagues from around the world – and to feel forward, into what might be or need to be coming next. Jess Curtis and Claire Cunningham are also presenting their duet The Way You Look (at me) Tonight http://www.clairecunningham.co.uk/production/the-way-you-look-at-me-tonight/ as part of the programme, which I was dramaturg for. It’s really wonderful to be able to come and be here and experience how that work is now, two years since making it, here in this context. Often as a dramaturg I can be involved in projects during their creation and then, once they are out in the world not get to check in on how they are evolving in person, which actually feels really important, particularly when a work appears in many different kinds of cultural, political and dance contexts.